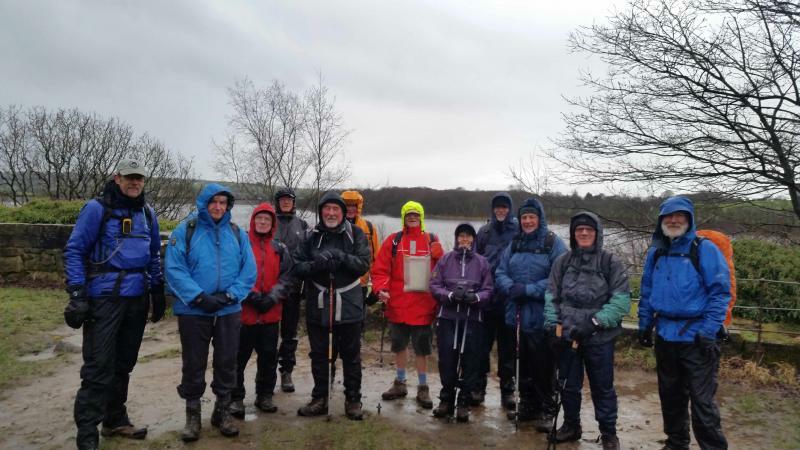 Thirteen walkers met at the car park opposite the school at Lower Rivington Reservoir. 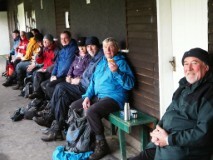 We welcomed a couple of new faces to the Wednesday walks, namely Harry and John. We set off at 9.30 am in fine weather to our first stop for a group photo at Liverpool Castle in Lever Park. 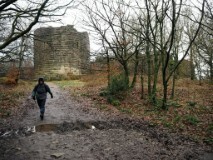 William Lever built this folly which is a scale replica of Liverpool Castle in ruins. Building started in 1912 and the replica, which was not completed, was based on a conjectural reconstruction of the castle prepared by E. W. Cox in 1892. On our exit the rain started which was to be with us on and off throughout the day. 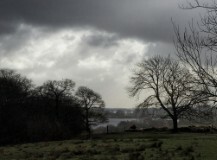 We then made our way to Upper Rivington Reservoir passing Yarrow Reservoir towards High Bullough Reservoir and Anglezarke Reservoir. 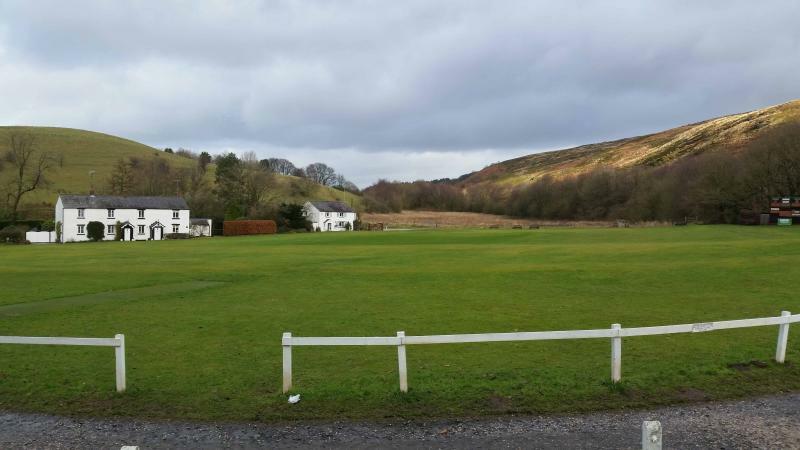 From here we walked some boggy ground, but were encouraged to bite the bullet as we would shortly be arriving at White Coppice where the sun shone whilst we had our lunch in the cricket pavilion. Being refreshed we set off and within minutes it was pouring down again. 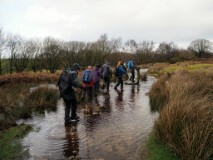 John decided we hadn't had enough mud, so took us on a quagmire route round the hamlet of White Coppice. We had now reached the turning point and made our way south on Heapey Fold Lane passing Anglezarke and Lower Rivington Reservoirs on the west banks. Whilst walking towards Horrobin Lane the blizzard started coming from the west bringing hail and snow. The idea now was to make our way back to the cars as the snow seemed to be set in. 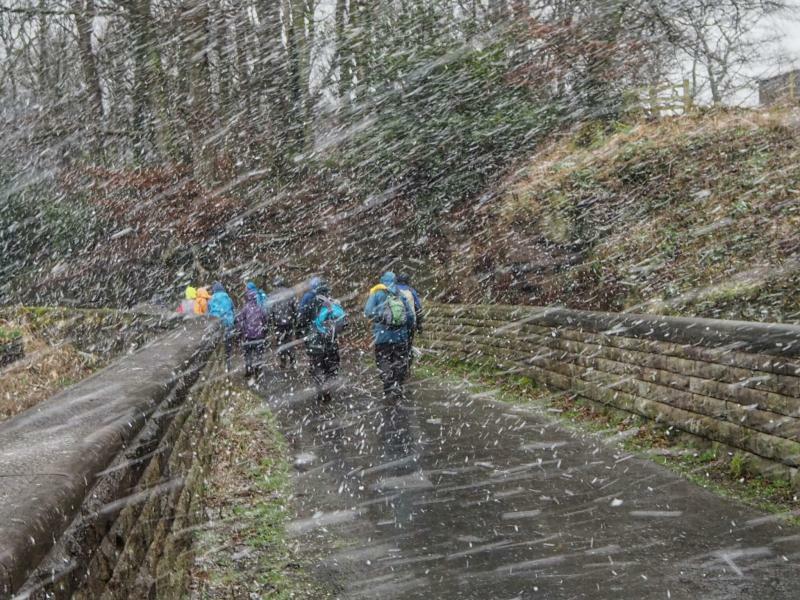 After crossing the Reservoir on Horrobin Lane the snow stopped, so the last mile and a half was dry arriving back at 2.00 pm. 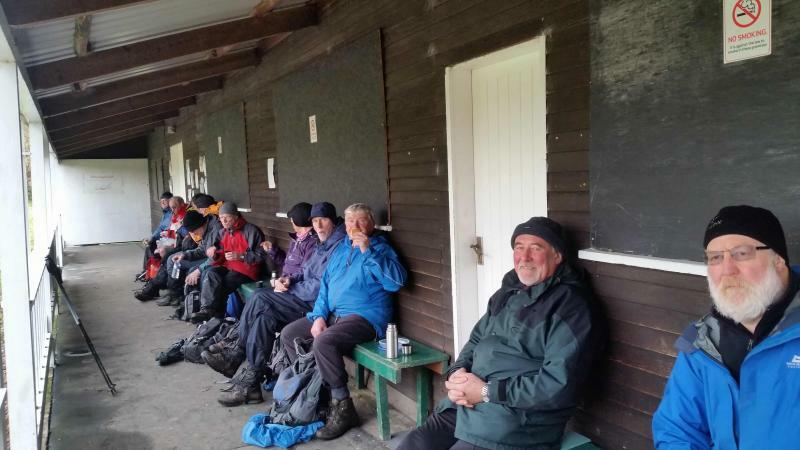 Albeit the weather and underfoot conditions were bad the new boys seemed to enjoy the day with the gang. Leader : Norman Thomas, 12 miles. Sorry, no report but photos courtesy of Terry Pilkington. Happy New Year and and welcome to another walk. The 'Opener' for 2015 was the Glazebrook Gander and my thanks to the 17 including 2 'virgin' long distance walkers who entrusted me with their care. I had recce'd this walk 5 times and changed it 5 times. Initially intended as an 18 miler I eventually trimmed it down to 16.5 due to lack of facilities on the original plan and then the deluge that turned large tracts into nothing more than a quagmire. The intention was a low level walk to ease into the New Year; to work off the excesses of the festive season and to be home before dark. It began at Lowton Civic Hall though it is officially known as the Red Rose Centre or something like after being taken over by a private company. It will always be the Civic Hall in my eyes. Off we went across the flooded fields and under by-passes to cross the East Lancs to work our way towards Bent's Garden Centre. Just 200 yards from Bent's is an easily missed side road called Jennets Lane which leads us to our first sighting of the Glaze brook as it makes its way towards the Manchester Ship Canal. 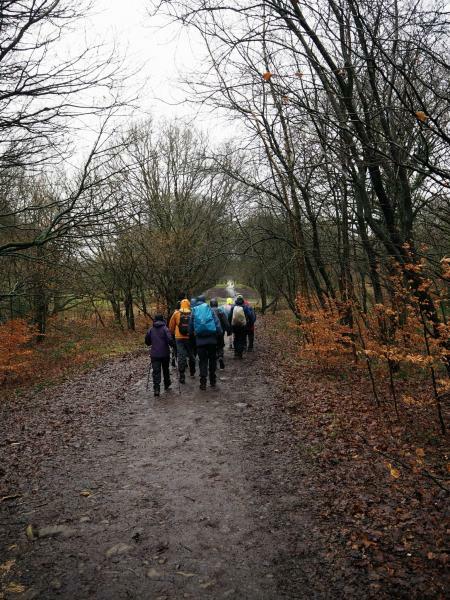 From there on it was simply a case of following the paths that took us towards Cadishead. For long stretches the Glaze is not visible though keeping in a generally southern direction we flirted with all the way down towards our main stop/lunch break at the Black Swan in Hollins Green. 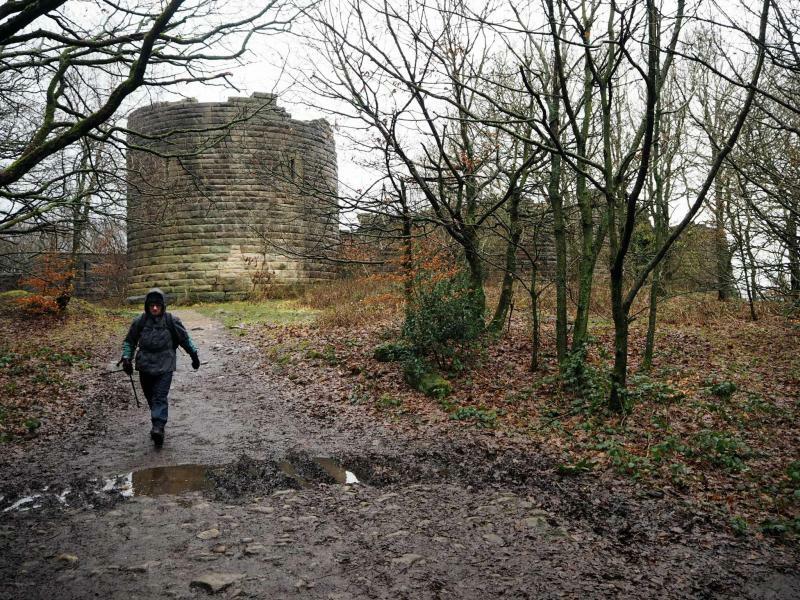 The route then took us back north along country lanes and footpaths, skirting edges of Gorse Covert, crossing the M62 at Junction 11 and then onto the back pathway that leads around the back of Risley Prison. It was here the major change in route took place. 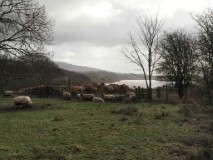 Lack of facilities; mud glorious mud and a long detour enforced by huge fencing erected by British Rail forced my hand. “Who wants to go to the Pub” I asked. There were a forest of hands and I didn't see any dissenters; so it was off into the centre of Culcheth and the Cherry Tree where a variety of beverages were purchased as a thank you for access to their other facilities. From here we were in the home straight and it along the road to Leigh Golf Course before crossing fields and under the East Lancs Rd to finish with ½ hour of daylight back at Lowton. “Sixteen point 6 miles” said one proud owner of a GPS. “Seventeen point 6” said another owner. I never have trusted these new fangled gadgets.